The eighth-grade students of Beaumont Middle School embarked on a project to discover the forgotten history of Portland’s mysterious Vanport chapter. Vanport, a city within city, was created to house workers for the growing need for shipbuilding during World War II and was destroyed by a tragic flood in 1948. Vanport was considered the second largest city in Oregon, and today the area is occupied by the international raceway and several soccer and softball fields. In the 1940s, it was home to many African Americans who had followed the great migration West to build new lives. Despite common practices of discrimination in Portland proper and tension within Vanport, some 20,000 residents (of whom about 6,000 were African American) thrived in integrated schools and community centers prior to the tragic flood. 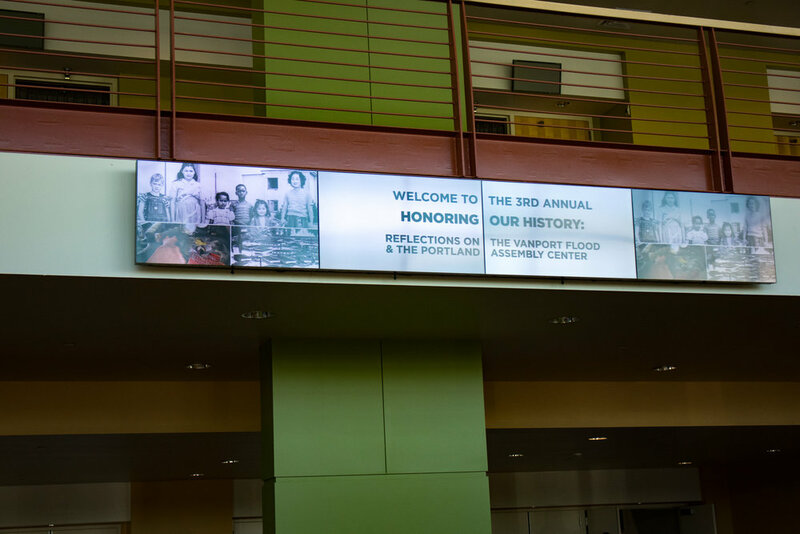 The Beaumont students were excited to create an art project that revealed this forgotten chapter, and some even discovered they have family ties to former Vanport residents. The students of Kirsten Parrott's 8th grade class were given a grant two years ago by Concordia University, and they decided to create something different than just poster art. For their event at Beaumont School, they decorated doors that were donated by the ReBuilding Center. The doors displayed the history of Vanport, some with text and writing and drawings. 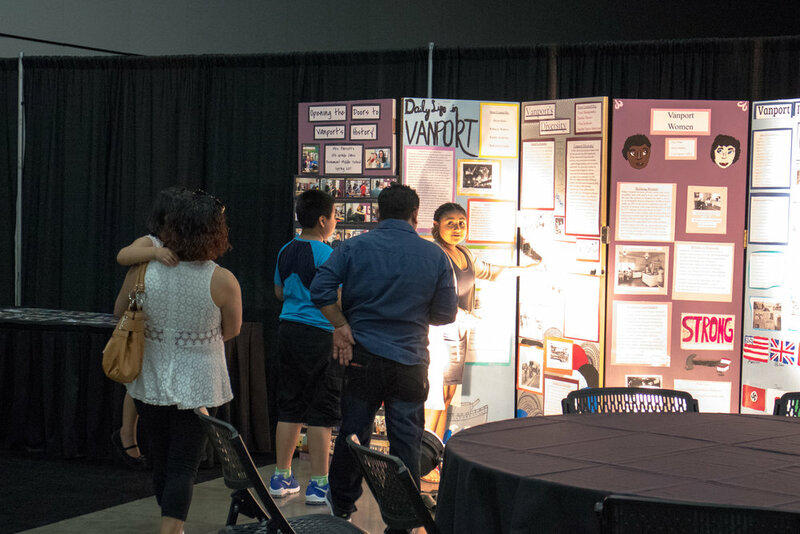 The Portland Expo Center thought the doors would make a great exhibit and paired the students with The Vanport Mosaic Initiative to create the event that honored Vanport’s past. The event was held on May 25th before Memorial Day Weekend. Kirsten Parrott described the event, “[It’s a] representation of students opening the door to the history of their community. A way to integrate history and incorporate their own creative touches and work in a team.” Over 100 people attended the event, including Terri Johnson, who lives where the Vanport flood once was with artifacts she has found in her yard on display. There were 18 doors that were part of the installation, made by 52 students, and 28 students attended the event held on May 26th at the Portland Expo Center. Four students spoke about what they had learned and the experience of creating these doors to history. The ReBuilding Center is proud to have been able to support this event by donating doors for the exhibit. Kirsten Parrott says, "We really appreciate the generosity and quick turnaround. It was easy to pick them up and staff were very helpful." The ReBuilding Center is all about reuse, and inspiring strong community. These 8th-graders are surely an inspiration to the future of our city!